Lately our customers have been coming in with their computers riddled with a quite annoying kind of pest on the internet, Junkware! If you've got Junkware or Adware on your computer, you've probably noticed a bunch of applications suddenly installed on your computer, popping up and annoying you, suggesting that you need to speed up your PC or purchase a product to optimise your computer. Often making you spend money on fake products that actually just end up making your computer even slower. Fortunately Junkware isn't really as harmful as other infections, such as Malware or Viruses, but you definitely need to get rid of it! Leaving Junkware on your computer not only makes it slow, but it may also be putting you at risk to get a real infection that may make your computer crash, or allow you to leak your personal data, or damage your files. What can you do when you have Junkware? We recommend that if our customers find any strange software on their computer that appeared overnight, that they bring their computers in for us to check immediately. 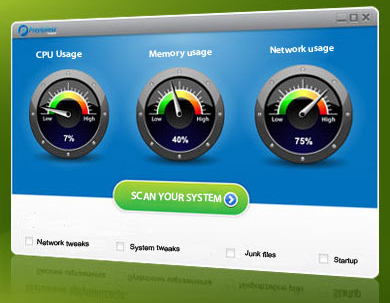 We'll scan and remove the Junkware or Adware and make sure your computer isn't at risk. How can I avoid getting Junkware on my computer? Always make sure you have an up-to-date Antivirus on your computer. We recommend Kaspersky Internet Security. When installing new software, make sure to read each step of the installation process to make sure you're not agreeing to install any third party programs you didn't intend to install. Be wary of free programs, often they're funded by Adware and Junkware. Quite often when you download Adobe Flash or Java, you'll be offered to install Junkware, make sure to untick any additional software offered. Only use retail computer security products from trusted sources, or free programs suggested by us. Call or email us using the contact details on our contact page. One of our technicians will get back to you with any questions you may have.